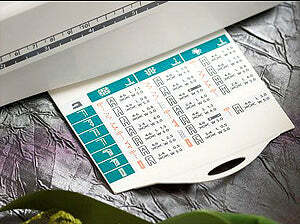 Emerald 118 features 70 stitch functions, reference guide for presser foot, thread tension, foot pressure, stitch length / width. Husqvarna Viking Emerald 118 Electronic Sewing Machine. Stylish Sewing. The EMERALD™ 118 is a machine ideal for all types of sewing; from a beautiful, one-of-a kind dress to curtains that duplicate those seen in a magazine. 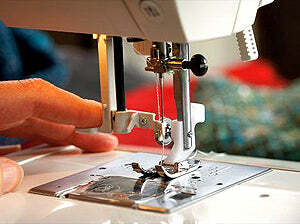 The EMERALD™ 118 sewing machine, has many practical features you will love; i.e. the built-in needle threader, a handy Sewing Guide Reference Chart, a hard cover for storage and an effortless one-step buttonhole. Husqvarna Viking Emerald 118 Features. Features a useful Sewing Guide Reference Chart. The Chart recommends the right presser foot, stitch length and width, thread tension and presser foot pressure for different fabrics and techniques. 70 Stitch Functions. It offers utility, decorative and stretch stitches as well as a one-step buttonhole. The stitch length and width can be adjusted. 18 stitches (70 stitch functions), including 1, one-step buttonhole. Husqvarna Viking Emerald 118 Accessories In Box. Utility Foot A, Utility Foot B, Buttonhole Foot C, Adjustable Blind Hem Foot D, Zipper Foot E, Non-stick Glide Foot H, Edging Foot J, Automatic Buttonhole Foot R.
Husqvarna Viking Emerald 118 Information. Emerald 118 Features And Benefits.